Greece international Kostas Manolas has indicated that he has no plans of leaving AS Roma this summer after extending his contract only in November. The 27-year-old has been with the Giallorossi since the summer of 2014 and last season was probably his best yet after helping the team reach the semi-final stage of the Champions League. Speaking to Sport24, Manolas spoke about his extension with the Giallorossi which came just months after his scuppered move to Zenit St Petersburg, he said: “I realised that I was important for the club when it came time to renew my contract in November and I had a conversation with (directors Francesco) Totti and Monchi. Manolas could have quite easily left the club during the previous summer transfer window but his switch to Zenit was called off at the final hurdle. The Greek wanted to be paid in Euros other than the unstable Rubles and Zenit’s reluctance to do so witnessed him report absent for his scheduled medical test. Since then, the Greek has enjoyed another fruitful run with Roma but he has not fully ruled out a future move away from Stadio Olimpico. 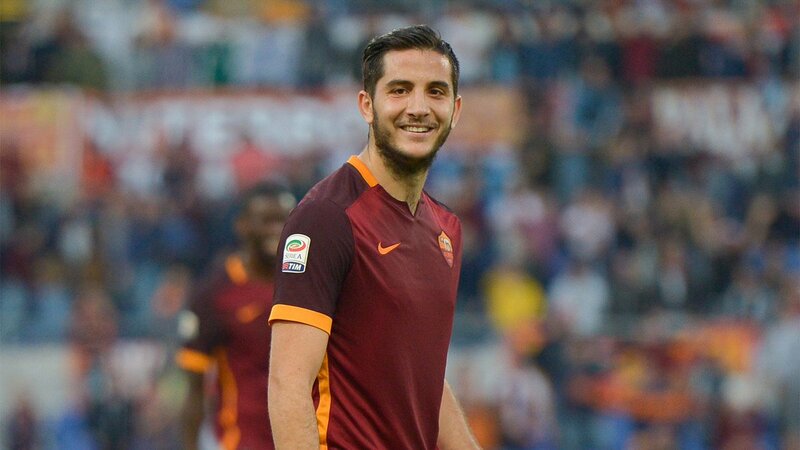 During his same interview with Sport24, Manolas highlighted that he has the dream of representing one of the elite clubs in Manchester United, Paris Saint-Germain or Barcelona in the coming years and feels he can make a name with the latter owing to his ball-playing tendencies.